After signing Maschinenbau Rehnen GmbH as its newest German dealer, Terex Trucks is experiencing increased demand for its articulated haulers. Maschinenbau Rehnen GmbH is currently renting a pair of TA300 articulated haulers out to two of its customers – and so far, the feedback has been excellent. The Terex Trucks TA300 articulated hauler is proving popular with German customers. It’s been five months since Maschinenbau Rehnen GmbH became an official Terex Trucks dealer, distributing the company’s TA300 and TA400 articulated haulers to customers in Northern Germany. 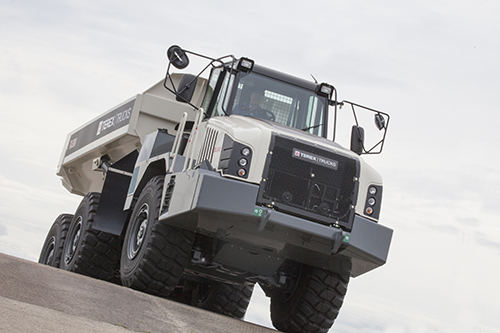 Going into the partnership, Terex Trucks had high expectations – and Maschinenbau Rehnen GmbH most certainly hasn’t disappointed. The TA300 articulated hauler is a proven performer at quarries, infrastructure developments and commercial construction projects. 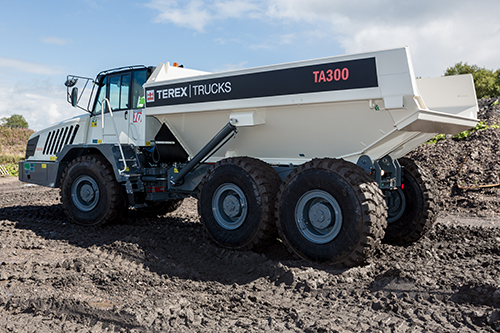 Last year, the 28 tonne (30.9 ton) TA300 articulated hauler from Terex Trucks was updated. It now comes with the new EP320 transmission. 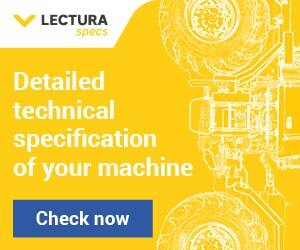 The updated machine now delivers a 5% improvement in fuel efficiency, a 5 km/h (3.1 mph) increase in speed to 55 km/h (34 mph), an extended maintenance period and enhanced performance when compared with the previous model. All of this means that customers can be more productive, achieving faster cycle times, lower cost per tonne and reduced carbon emissions. The TA300’s new transmission comes with eight forward gears as well as four reverse gears, higher overall gear ratio spread, equal ratio steps between gears, and optimized gear shifting with partial load shifts. These features mean that the upgraded TA300 offers lower fuel consumption with smoother gear shifting and thereby higher levels of operator comfort. The TA300 also now comes with long life transmission fluid, increasing the length of time between oil maintenance intervals from 1,000 to 4,000 hours.